Have you noticed that "inbox" has become more of a concept than a primary collection point? This morning, I cleared a handful of direct messages in LinkedIn, several through Twitter, had instant message exchanges with two people, and responded to a few dozen email messages. U.S. mail delivered several items yesterday that need attention, and I have text reminders to check messages in several online accounts. All of which could sound impressive ... but if you lead a customer service operation, there's a 100% chance your morning was even busier. Now, take these same trends and package them into the expectations that customers have when interacting with organizations. Multichannel is evolving territory every day—but individuals and companies that do it well will have a powerful advantage. Happy New Year, and I hope you enjoy this issue! If you were to walk into an Amazon.com customer contact center, you'd see desks turned sideways so that Fire tablet support agents have a neutral background for video calls (one-way, agent-to-customer). Visit the GM customer assistance group focused on social channels, and you're more likely to hear the clickety-clack of keys than voices—this team engages with customers through over 120 automotive forums, as well as a bunch of Twitter handles. 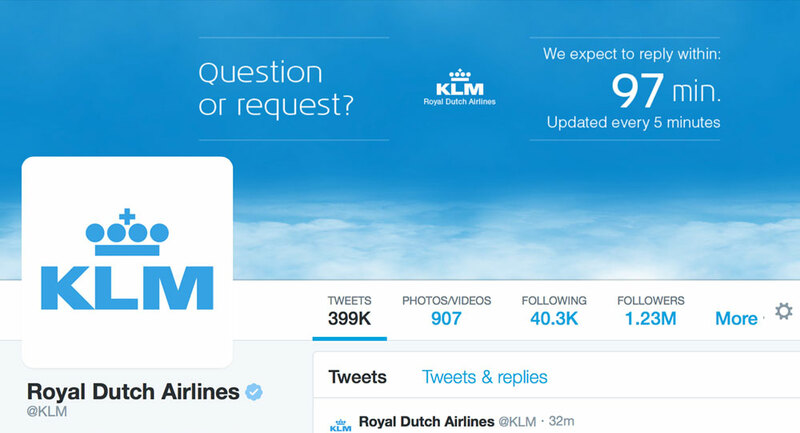 KLM continues to build a service presence through Twitter, even displaying a continuously updated wait time estimate (see picture, below). In Moen's customer support center, you'll see job site pictures coming in from contractors who reach out for assistance with specs and installations that use the company's faucets and fixtures. There are so many ways to interact with customers! Customer service functions have become de facto hubs of communication. Deliver unified tools and processes. Customers quickly learn if service is better in one channel versus another, leading to channel switching, duplicate work and parallel efforts. But unified tools and processes enabling a similar look and feel across channels contribute greatly to simplicity, effectiveness, and the overall experience. Establish direct links and easy transitions between channels. Some channels are more suitable for evolving needs than others (e.g., general inquiries through social channels that turn into customer-specific transactions; or, agent inquiries that can benefit from links to Web resources). Easy transitions across channels boost satisfaction and effectiveness. Encourage access to free-standing information through self-service. Service is more effective and efficient as you harnesses information gained from any interaction into a body of knowledge that is constantly and inherently being updated and improved, and is accessible (think of Wikipedia in a customer service context). Cultivate robust quality across all channels. The majority of quality criteria apply across your service ecosystem—you don't have to reinvent the wheel. Yes, each channel has unique cultural and communication norms, but criteria such as identifying customer needs, delivering the right information and service, and accurately capturing needed and useful information are uniformly important. Enable easy access to agents. Don't trap customers and don't get too clever in trying to shepherd them along specific paths. They'll notice ease of use, choice and seamless options to transition—and happily, will often migrate to lower-cost alternatives. This is a time of unprecedented change in customer service, with new channels, increasing customer expectations, and a daunting list of systems and process initiatives defining the months ahead for many organizations. It's also a season of enormous opportunity; as Moen's Paul De Sousa reminds us (quote, below), service has become a powerful differentiator that's much harder to copy than products themselves. Do you feel that the customer service departments of today's companies generally meet your needs and expectations? Do you feel that your customer care organization generally meets the needs and expectations of your customers? Source: Customer Experience Benchmark Series, by Execs in the Know and Digital Roots, 2014. Customer service interactions that are a negative experience, according to consumers. Among Generation X consumers (born between 1965 and 1980), this number rises to 36%. Source: Nuance survey of 1,000 American consumers, 2014. Retail executives who did not feel prepared to deliver omnichannel initiatives this holiday season. Smart phone shipments expected in 2015, representing a 12.2% year-on-year growth rate. "Manufacturers are struggling all over the place to call themselves a manufacturer, when in reality there's a firm in Korea, China, India copying their product with incredible detail. Today, what you have to be is not only an extraordinary manufacturer, but the differentiator in the world. You have to serve that market like nobody else does. That's what the winning formula is for Moen. We serve like no one ... We do not have a service organization because we have to as a cost of doing business. We have a service organization as a place we find smart to invest, to drive business." Source: Interview with Paul De Sousa, Director of Consumer Service, Moen, in Customer Experience Report, October 2014. Traditional—phone and email are not going away anytime soon. Self-service—Web-based, mobile, online videos, et al. Social—where your customers would most likely be (forums, Twitter, Pinterest, Facebook, et al.). Mobile—mobile is not a channel per se, but think through the logical ways your customers would reach your services through their devices. Article, Top 3 Questions to Ask in 2015. 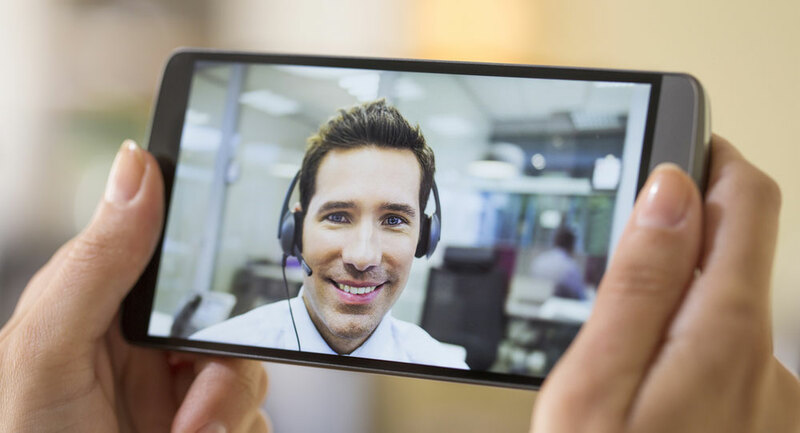 Video blog, Developing a Mobile Customer Access Strategy.